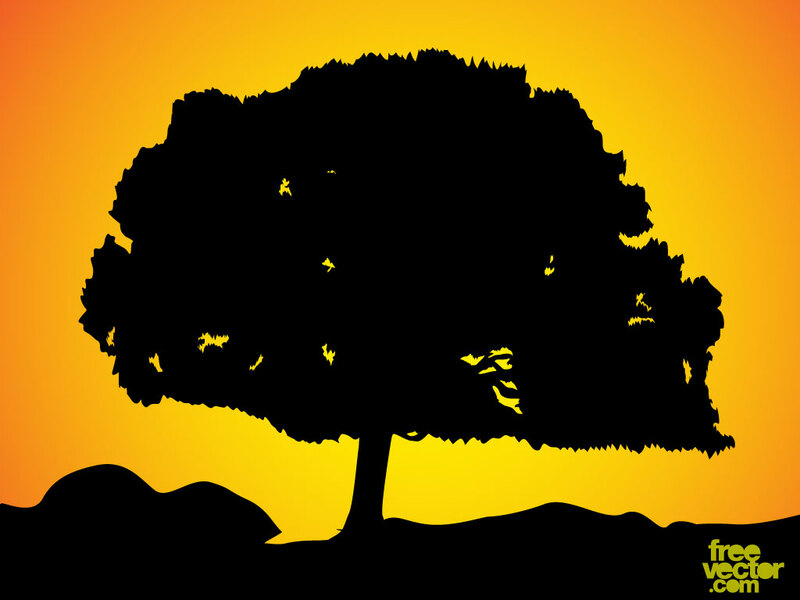 A tree on hill are silhouetted against a beautiful sunset. A nice peaceful and atmospheric image for your wallpapers, backgrounds and nature themed designs. Zip file contains AI, PDF and JPEG files for your convenience. Tags: Backdrop, Ecology, Forest, Hilltop, Landscape, Outdoors, Plant, Tree.